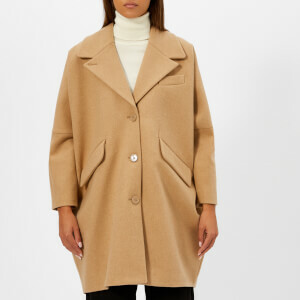 Women’s single-breasted coat with padded inner layer from Italian outerwear brand, Herno. 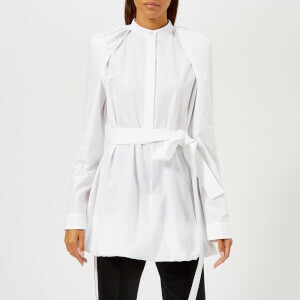 The cream, wool-blend outer features notched lapels, front slip pockets and a concealed button fastening. The detachable quilted interior features a high neck and a zip fastening for extra protection against the elements. A branded metal plaque at the nape adds the finishing touch to the design. Outer: 50% Virgin Wool, 30% Angora, 20% Silk. Inner/Lining: 100% Polyamide.